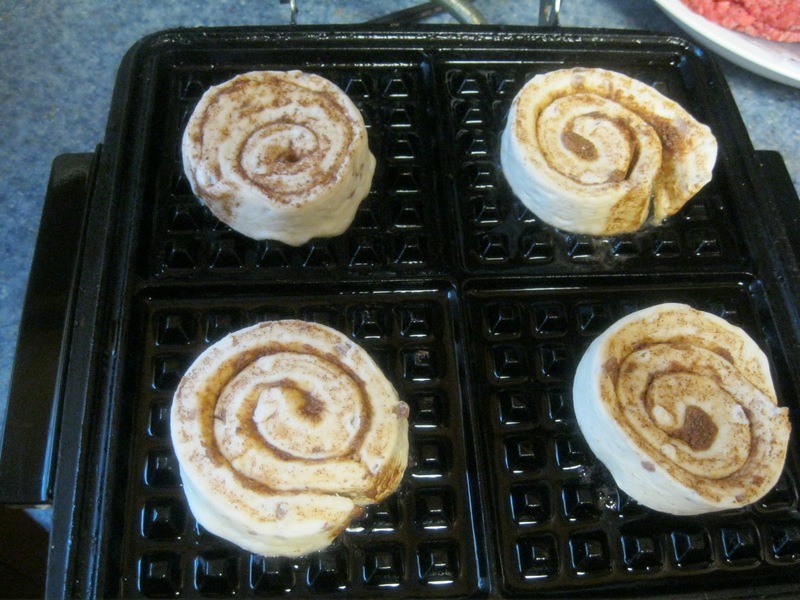 This quick, easy & thrifty breakfast idea is super yummy. 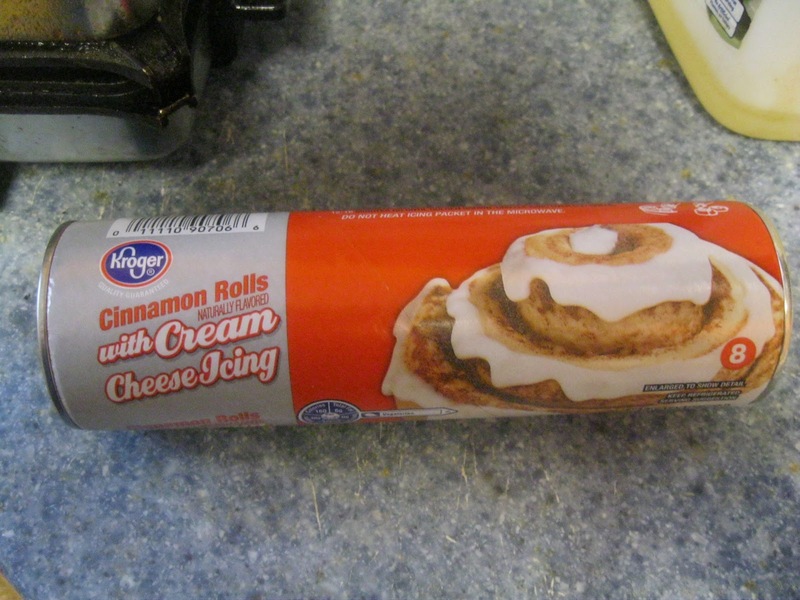 If you've never made them before, I urge you try them! I ran across this wonderful little idea, saved the website, so I could give proper credit for it, and of course, can't find it. 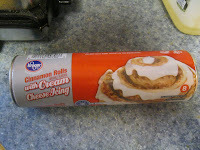 Until I do let me clarify I am not responsible for any future addictions you develop to these little pieces of heaven. 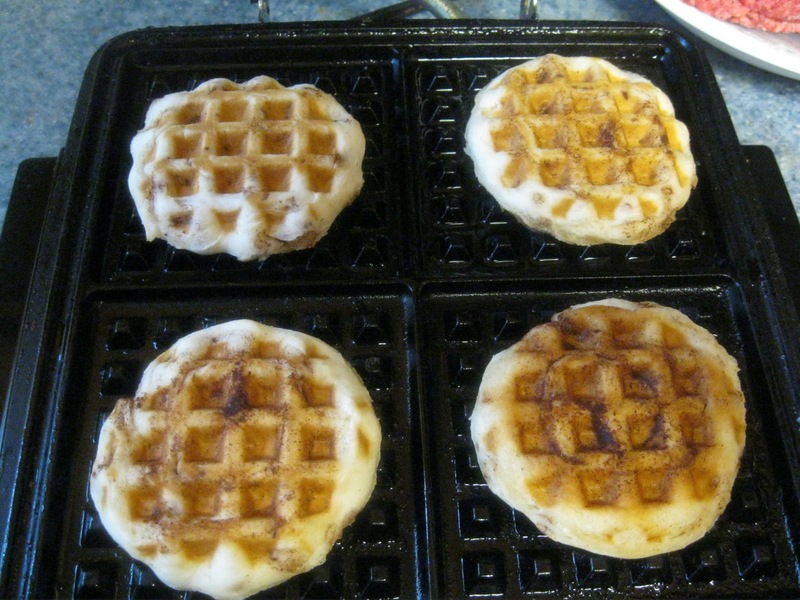 Preheat waffle iron as you would for making regular waffles. Spray both top and bottom with non stick cooking spray. 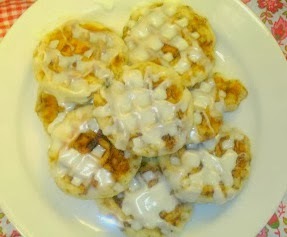 Remove waffles to a serving plate. Spray both top and bottom of waffle iron with non stick spray and repeat the cooking process for the remaining 4 unbaked rolls. 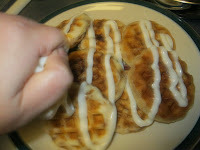 When all the cinnamon rolls are done and piled on a plate, snip open a corner of the icing packet that came with the rolls and drizzle completely over the tops of all the waffles.